Successful low-income solar policies must have as their basis a strong mechanism for compensating customers for the value of the energy their systems produce. Net metering is a highly effective tool that is used by 45 states for both general market and low-income solar. Under net metering, excess solar power generated by a system can be delivered to the utility grid and used to meet the electricity needs of other customers nearby. 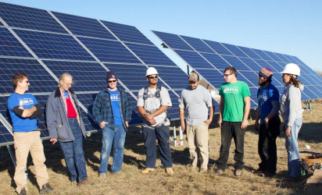 Producers are credited for the value of the power, and can use that credit to offset any power they purchase from the grid when their solar system is not generating enough to meet their needs, reducing their electricity bills. The simplicity of net metering has made it one of the most successful state policies for empowering consumers to use rooftop solar to meet their own electricity needs. A strong net metering policy ensures full retail credit for customer-generated solar power, without excess fees and or arduous restrictions on participation, system size, or customer eligibility, and allows credit rollover or excess credit payouts. Any reduction to the net metering credit or additional fees for solar customers has a higher negative impact on low-income customers. Indeed, because low-income customers tend to use less energy than higher-income customers and yet have a higher energy burden, the benefits of net metering are more impactful for them as a means of offsetting their energy burden. 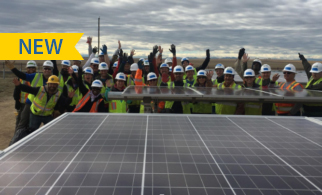 Leading states go beyond traditional net metering with programs like virtual net metering that expand access to multi-tenant buildings or clear the way for community shared solar arrangements by allowing customers to receive credit for a designated portion of the power produced by an off-site or shared system. According to the Institute for Local Self-Reliance, virtual net metering is available in sixteen states. A strong virtual net metering program ensures that participating customers receive full retail value for their virtual net metering credits. 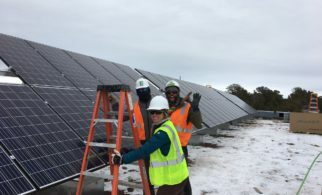 In December 2015, the Mississippi Public Service Commission adopted the state’s first net metering standards and included an adder of two cents per kilowatt hour (kWh) to the net metering credit for the first 1,000 qualifying low-income customers who sign up. 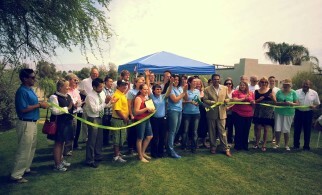 El Paso Electric in Texas has offered net metering to customer-generators since September 2011.To qualify, distributed renewable generation owners must either interconnect an apartment house occupied by low-income elderly tenants that qualifies for master metering or have a distributed renewable energy facility with a design capacity of not more than 50 kilowatts (kW). 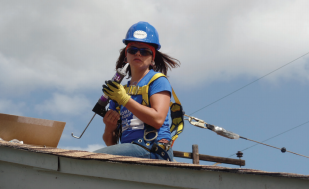 Austin Energy in Texas has committed to developing a virtual net metering policy by September 2018 to help support the city’s goal to bring solar to “multi-family affordable housing, low-income residents, renters, and non-profits.” Austin Energy’s forthcoming virtual net metering policy will reduce expenses for multifamily property owners who wish to provide access to solar for their tenants. 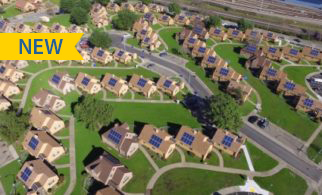 By way of example, one multifamily property in Austin has installed 140 discrete solar arrays on its roof, each one serving an individual unit. Virtual net metering will eliminate the need for this expensive solution. 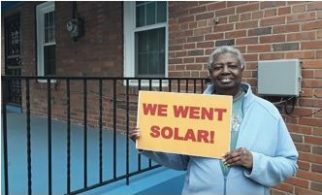 California piloted a VNM program in its multifamily solar program (MASH) as a mechanism to provide direct tenant benefit. VNM allows for energy credits to be allocated among individual units as well as to common area load. With VNM, it can be challenging to pass on a net monthly benefit to participating households that are in HUD subsidized housing due to the utility allowance structure. In HUD subsidized housing, rent plus utilities paid by tenants is adjusted to total less than 30 percent of their income. In some cases, the proportion of rent paid by the tenant will increase when utility costs decrease due to the solar credits, rendering no net financial benefit to the household at the end of the month.